Where will the growth be through the year? 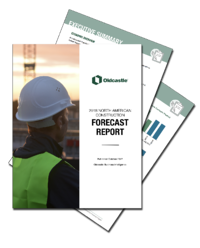 2018 is here and with it, our annual construction report is back with our team's consensus view of growth to help you plan for construction this year. Will construction continue growing in 2018? What regions will see the most growth? Will construction costs continue to rise? Is muIti-family still growing or is it slowing down? How will Canadian construction change in 2018?